^ 1.0 1.1 Little, C., Fowler H.W., Coulson J. The Shorter Oxford English Dictionary. Oxford University Press (Guild Publishing). 1983: 1566–67. ^ Ilya Mechnikov 互联网档案馆的存檔，存档日期2015-02-17., retrieved on 2008-11-28. From Nobel Lectures, Physiology or Medicine 1901–1921, Elsevier Publishing Company, Amsterdam, 1967. ^ 7.0 7.1 Schmalstieg, FC; AS Goldman. Ilya Ilich Metchnikoff (1845–1915) and Paul Ehrlich (1854–1915): the centennial of the 1908 Nobel Prize in Physiology or Medicine. Journal of medical biography. 2008, 16 (2): 96–103 [2014-12-19]. PMID 18463079. doi:10.1258/jmb.2008.008006. （原始内容存档于2011-07-24）. ^ 12.0 12.1 Thompson, CB. Apoptosis in the pathogenesis and treatment of disease. Science. 1995, 267 (5203): 1456–62. PMID 7878464. doi:10.1126/science.7878464. ^ 13.0 13.1 13.2 Janeway, Chapter: Induced innate responses to infection. ^ 14.0 14.1 Fang FC. Antimicrobial reactive oxygen and nitrogen species: concepts and controversies. Nat. Rev. Microbiol. 2004-10, 2 (10): 820–32. PMID 15378046. doi:10.1038/nrmicro1004. ^ Aterman, Kurt. Medals, Memoirs-and Metchnikoff. Journal of Leukocyte Biology. 1998, 63 (4): 515–517. ISSN 0741-5400. doi:10.1002/jlb.63.4.515. ^ Ilya Mechnikov. The Nobel Foundation. [2014-12-19]. （原始内容存档于2015-02-17）. ^ 23.0 23.1 Hampton, Mark B.; Vissers, Margret C. M.; Winterbourn, Christine C. A single assay for measuring the rates of phagocytosis and bacterial killing by neutrophils. Journal of Leukocyte Biology. 1994, 55 (2): 147–152. ISSN 0741-5400. doi:10.1002/jlb.55.2.147. ^ Dale DC, Boxer L, Liles WC; Boxer; Liles. The phagocytes: neutrophils and monocytes. Blood. 2008-08, 112 (4): 935–45 [2014-12-19]. PMID 18684880. doi:10.1182/blood-2007-12-077917. （原始内容存档于2016-12-20）. ^ Dahlgren, C; A Karlsson. 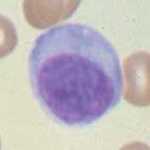 Respiratory burst in human neutrophils. Journal of Immunological Methods. 1999-12-17, 232 (1–2): 3–14. PMID 10618505. doi:10.1016/S0022-1759(99)00146-5. ^ Shatwell, KP; AW Segal. NADPH oxidase. The international journal of biochemistry and cell biology. 1996, 28 (11): 1191–95. PMID 9022278. doi:10.1016/S1357-2725(96)00084-2. ^ Klebanoff SJ. Myeloperoxidase. Proc. Assoc. Am. Physicians. 1999, 111 (5): 383–89. PMID 10519157. ^ Meyer KC. Neutrophils, myeloperoxidase, and bronchiectasis in cystic fibrosis: green is not good. J. Lab. Clin. Med. 2004-09, 144 (3): 124–26 [2014-12-19]. PMID 15478278. doi:10.1016/j.lab.2004.05.014. ^ Schroder K, Hertzog PJ, Ravasi T, Hume DA; Hertzog; Ravasi; Hume. Interferon-gamma: an overview of signals, mechanisms and functions. J. Leukoc. Biol. 2004-02, 75 (2): 163–89 [2014-12-19]. PMID 14525967. doi:10.1189/jlb.0603252. （原始内容存档于2010-07-03）. ^ Lipu HN, Ahmed TA, Ali S, Ahmed D, Waqar MA; Ahmed; Ali; Ahmed; Waqar. Chronic granulomatous disease. J Pak Med Assoc. 2008-09, 58 (9): 516–18. PMID 18846805. ^ Kaplan J, De Domenico I, Ward DM; De Domenico; Ward. Chediak-Higashi syndrome. Curr. Opin. Hematol. 2008-01, 15 (1): 22–29 [2014-12-19]. PMID 18043242. doi:10.1097/MOH.0b013e3282f2bcce. ^ de Almeida SM, Nogueira MB, Raboni SM, Vidal LR; Nogueira; Raboni; Vidal. Laboratorial diagnosis of lymphocytic meningitis. Braz J Infect Dis. 2007-10, 11 (5): 489–95 [2014-12-19]. PMID 17962876. doi:10.1590/s1413-86702007000500010. （原始内容存档于2015-01-03）. ^ Apoptosis. Merriam-Webster Online Dictionary. [2014-12-19]. （原始内容存档于2015-01-03）. ^ Savill J, Gregory C, Haslett C. Eat me or die. Science. 2003, 302 (5650): 1516–17. PMID 14645835. doi:10.1126/science.1092533. ^ Zhou Z, Yu X; Yu. Phagosome maturation during the removal of apoptotic cells: receptors lead the way. Trends Cell Biol. 2008-10, 18 (10): 474–85. PMC 3125982. PMID 18774293. doi:10.1016/j.tcb.2008.08.002. ^ Timothy Lee. Antigen Presenting Cells (APC). Immunology for 1st Year Medical Students. Dalhousie University. 2004 [2014-12-19]. （原始内容存档于2008-01-12）. ^ Lange C, Dürr M, Doster H, Melms A, Bischof F; Dürr; Doster; Melms; Bischof. Dendritic cell-regulatory T-cell interactions control self-directed immunity. Immunol. Cell Biol. 2007, 85 (8): 575–81. PMID 17592494. doi:10.1038/sj.icb.7100088. ^ Steinman, Ralph M. Dendritic Cells and Immune Tolerance. The Rockefeller University. 2004 [2014-12-19]. （原始内容存档于2009-03-11）. ^ Romagnani, S. Immunological tolerance and autoimmunity. Internal and emergency medicine. 2006, 1 (3): 187–96. PMID 17120464. doi:10.1007/BF02934736. ^ Zen K, Parkos CA; Parkos. Leukocyte-epithelial interactions. Curr. Opin. Cell Biol. 2003-10, 15 (5): 557–64 [2014-12-19]. PMID 14519390. doi:10.1016/S0955-0674(03)00103-0. ^ Krombach F, Münzing S, Allmeling AM, Gerlach JT, Behr J, Dörger M; Münzing; Allmeling; Gerlach; Behr; Dörger. Cell size of alveolar macrophages: an interspecies comparison. Environ. Health Perspect. 1997-09,. 105 Suppl 5 (Suppl 5): 1261–63. JSTOR 3433544. PMC 1470168. PMID 9400735. doi:10.2307/3433544. ^ Linderkamp O, Ruef P, Brenner B, Gulbins E, Lang F; Ruef; Brenner; Gulbins; Lang. Passive deformability of mature, immature, and active neutrophils in healthy and septicemic neonates. Pediatr. Res. 1998-12, 44 (6): 946–50 [2014-12-19]. PMID 9853933. doi:10.1203/00006450-199812000-00021. ^ Soehnlein O, Kenne E, Rotzius P, Eriksson EE, Lindbom L; Kenne; Rotzius; Eriksson; Lindbom. Neutrophil secretion products regulate anti-bacterial activity in monocytes and macrophages. Clin. Exp. Immunol. 2008-01, 151 (1): 139–45. PMC 2276935. PMID 17991288. doi:10.1111/j.1365-2249.2007.03532.x. ^ Soehnlein O, Kai-Larsen Y, Frithiof R, 等. Neutrophil primary granule proteins HBP and HNP1-3 boost bacterial phagocytosis by human and murine macrophages. J. Clin. Invest. 2008-10, 118 (10): 3491–502. PMC 2532980. PMID 18787642. doi:10.1172/JCI35740. ^ Steinman RM, Cohn ZA; Cohn. Identification of a novel cell type in peripheral lymphoid organs of mice. I. Morphology, quantitation, tissue distribution. J. Exp. Med. 1973, 137 (5): 1142–62. PMC 2139237. PMID 4573839. doi:10.1084/jem.137.5.1142. ^ 83.0 83.1 Steinman, Ralph. Dendritic Cells. The Rockefeller University. [2014-12-19]. （原始内容存档于2009-06-27）. ^ Guermonprez P, Valladeau J, Zitvogel L, Théry C, Amigorena S; Valladeau; Zitvogel; Théry; Amigorena. Antigen presentation and T cell stimulation by dendritic cells. Annu. Rev. Immunol. 2002, 20: 621–67 [2014-12-19]. PMID 11861614. doi:10.1146/annurev.immunol.20.100301.064828. ^ Sallusto F, Lanzavecchia A; Lanzavecchia. The instructive role of dendritic cells on T-cell responses. Arthritis Res. 2002,. 4 Suppl 3 (Suppl 3): S127–32. PMC 3240143. PMID 12110131. doi:10.1186/ar567. ^ Novak, Natalija; Bieber, Thomas; Peng, Wen-Ming. The immunoglobulin E-Toll-like receptor network. 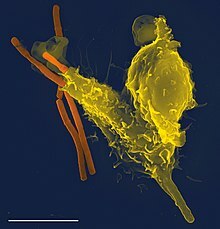 International Archives of Allergy and Immunology. 2010-01-01, 151 (1): 1–7. ISSN 1423-0097. PMID 19672091. doi:10.1159/000232565. （原始内容存档于2016-12-20）. ^ Kalesnikoff J, Galli SJ; Galli. New developments in mast cell biology. Nature Immunology. 2008-11, 9 (11): 1215–23. PMC 2856637. PMID 18936782. doi:10.1038/ni.f.216. ^ 90.0 90.1 Malaviya R, Abraham SN; Abraham. Mast cell modulation of immune responses to bacteria. Immunol. Rev. 2001-02, 179: 16–24. PMID 11292019. doi:10.1034/j.1600-065X.2001.790102.x. ^ Connell I, Agace W, Klemm P, Schembri M, Mărild S, Svanborg C; Agace; Klemm; Schembri; Mărild; Svanborg. Type 1 fimbrial expression enhances Escherichia coli virulence for the urinary tract. Proc. Natl. Acad. Sci. U.S.A. 1996-09, 93 (18): 9827–32 [2014-12-19]. PMC 38514. PMID 8790416. doi:10.1073/pnas.93.18.9827. ^ Malaviya R, Twesten NJ, Ross EA, Abraham SN, Pfeifer JD; Twesten; Ross; Abraham; Pfeifer. Mast cells process bacterial Ags through a phagocytic route for class I MHC presentation to T cells. J. Immunol. 1996-02, 156 (4): 1490–96 [2014-12-19]. PMID 8568252. ^ Taylor ML, Metcalfe DD; Metcalfe. Mast cells in allergy and host defense. Allergy Asthma Proc. 2001, 22 (3): 115–19 [2014-12-19]. PMID 11424870. doi:10.2500/108854101778148764. ^ Birge RB, Ucker DS; Ucker. Innate apoptotic immunity: the calming touch of death. Cell Death Differ. 2008-07, 15 (7): 1096–1102. PMID 18451871. doi:10.1038/cdd.2008.58. ^ Couzinet S, Cejas E, Schittny J, Deplazes P, Weber R, Zimmerli S; Cejas; Schittny; Deplazes; Weber; Zimmerli. Phagocytic uptake of Encephalitozoon cuniculi by nonprofessional phagocytes. Infect. Immun. 2000-12, 68 (12): 6939–45 [2014-12-19]. PMC 97802. PMID 11083817. doi:10.1128/IAI.68.12.6939-6945.2000. ^ Rabinovitch M. Professional and non-professional phagocytes: an introduction. Trends Cell Biol. 1995-03, 5 (3): 85–87 [2014-12-19]. PMID 14732160. doi:10.1016/S0962-8924(00)88955-2. ^ 99.0 99.1 99.2 99.3 99.4 Todar, Kenneth. Mechanisms of Bacterial Pathogenicity: Bacterial Defense Against Phagocytes. 2008. [2014-12-19]. （原始内容存档于2014-12-08）. ^ Alexander J, Satoskar AR, Russell DG; Satoskar; Russell. Leishmania species: models of intracellular parasitism. J. Cell. Sci. 1999-09, 112 (18): 2993–3002 [2014-12-19]. PMID 10462516. ^ Celli J, Finlay BB; Finlay. Bacterial avoidance of phagocytosis. Trends Microbiol. 2002-05, 10 (5): 232–37. PMID 11973157. doi:10.1016/S0966-842X(02)02343-0. ^ Valenick LV, Hsia HC, Schwarzbauer JE; Hsia; Schwarzbauer. Fibronectin fragmentation promotes alpha4beta1 integrin-mediated contraction of a fibrin-fibronectin provisional matrix. Experimental Cell Research. 2005-09, 309 (1): 48–55. PMID 15992798. doi:10.1016/j.yexcr.2005.05.024. ^ Burns SM, Hull SI; Hull. Loss of resistance to ingestion and phagocytic killing by O(-) and K(-) mutants of a uropathogenic Escherichia coli O75:K5 strain. Infect. Immun. 1999-08, 67 (8): 3757–62 [2014-12-19]. PMC 96650. PMID 10417134. ^ Vuong C, Kocianova S, Voyich JM, 等. A crucial role for exopolysaccharide modification in bacterial biofilm formation, immune evasion, and virulence. J. Biol. Chem. 2004-12, 279 (52): 54881–86 [2014-12-19]. PMID 15501828. doi:10.1074/jbc.M411374200. ^ Melin M, Jarva H, Siira L, Meri S, Käyhty H, Väkeväinen M; Jarva; Siira; Meri; Käyhty; Väkeväinen. Streptococcus pneumoniae capsular serotype 19F is more resistant to C3 deposition and less sensitive to opsonophagocytosis than serotype 6B. Infect. Immun. 2009-02, 77 (2): 676–84 [2014-12-19]. PMC 2632042. PMID 19047408. doi:10.1128/IAI.01186-08. ^ 106.0 106.1 Foster TJ. Immune evasion by staphylococci. Nat. Rev. Microbiol. 2005-12, 3 (12): 948–58. PMID 16322743. doi:10.1038/nrmicro1289. ^ Sansonetti P. Phagocytosis of bacterial pathogens: implications in the host response. Semin. Immunol. 2001-12, 13 (6): 381–90. PMID 11708894. doi:10.1006/smim.2001.0335. ^ Dersch P, Isberg RR; Isberg. A region of the Yersinia pseudotuberculosis invasin protein enhances integrin-mediated uptake into mammalian cells and promotes self-association. EMBO J. 1999-03, 18 (5): 1199–1213. PMC 1171211. PMID 10064587. doi:10.1093/emboj/18.5.1199. ^ Antoine JC, Prina E, Lang T, Courret N; Prina; Lang; Courret. The biogenesis and properties of the parasitophorous vacuoles that harbour Leishmania in murine macrophages. Trends Microbiol. 1998-10, 6 (10): 392–401. PMID 9807783. doi:10.1016/S0966-842X(98)01324-9. ^ Das D, Saha SS, Bishayi B; Saha; Bishayi. Intracellular survival of Staphylococcus aureus: correlating production of catalase and superoxide dismutase with levels of inflammatory cytokines. Inflamm. Res. 2008-07, 57 (7): 340–49. PMID 18607538. doi:10.1007/s00011-007-7206-z. ^ Hara H, Kawamura I, Nomura T, Tominaga T, Tsuchiya K, Mitsuyama M; Kawamura; Nomura; Tominaga; Tsuchiya; Mitsuyama. Cytolysin-dependent escape of the bacterium from the phagosome is required but not sufficient for induction of the Th1 immune response against Listeria monocytogenes infection: distinct role of Listeriolysin O determined by cytolysin gene replacement. Infect. Immun. 2007-08, 75 (8): 3791–3801 [2014-12-19]. PMC 1951982. PMID 17517863. doi:10.1128/IAI.01779-06. ^ Datta V, Myskowski SM, Kwinn LA, Chiem DN, Varki N, Kansal RG, Kotb M, Nizet V; Myskowski; Kwinn; Chiem; Varki; Kansal; Kotb; Nizet. Mutational analysis of the group A streptococcal operon encoding streptolysin S and its virulence role in invasive infection. Mol. Microbiol. 2005-05, 56 (3): 681–95. PMID 15819624. doi:10.1111/j.1365-2958.2005.04583.x. ^ Iwatsuki K, Yamasaki O, Morizane S, Oono T; Yamasaki; Morizane; Oono. Staphylococcal cutaneous infections: invasion, evasion and aggression. J. Dermatol. Sci. 2006-06, 42 (3): 203–14. PMID 16679003. doi:10.1016/j.jdermsci.2006.03.011. ^ 114.0 114.1 Denkers EY, Butcher BA; Butcher. Sabotage and exploitation in macrophages parasitized by intracellular protozoans. Trends Parasitol. 2005-01, 21 (1): 35–41 [2014-12-19]. PMID 15639739. doi:10.1016/j.pt.2004.10.004. ^ Gregory DJ, Olivier M; Olivier. Subversion of host cell signalling by the protozoan parasite Leishmania. Parasitology. 2005,. 130 Suppl: S27–35 [2014-12-19]. PMID 16281989. doi:10.1017/S0031182005008139. ^ Heinzelmann M, Mercer-Jones MA, Passmore JC; Mercer-Jones; Passmore. Neutrophils and renal failure. Am. J. Kidney Dis. 1999-08, 34 (2): 384–99. PMID 10430993. doi:10.1016/S0272-6386(99)70375-6. ^ Lee WL, Downey GP; Downey. Neutrophil activation and acute lung injury. Curr Opin Crit Care. 2001-02, 7 (1): 1–7. PMID 11373504. doi:10.1097/00075198-200102000-00001. ^ 119.0 119.1 Moraes TJ, Zurawska JH, Downey GP; Zurawska; Downey. Neutrophil granule contents in the pathogenesis of lung injury. Curr. Opin. Hematol. 2006-01, 13 (1): 21–27. PMID 16319683. doi:10.1097/01.moh.0000190113.31027.d5. ^ Abraham E. Neutrophils and acute lung injury. Crit. Care Med. 2003-04, 31 (4 Suppl): S195–99. PMID 12682440. doi:10.1097/01.CCM.0000057843.47705.E8. ^ Ricevuti G. Host tissue damage by phagocytes. Ann. N. Y. Acad. Sci. 1997-12, 832: 426–48. PMID 9704069. doi:10.1111/j.1749-6632.1997.tb46269.x. ^ Charley B, Riffault S, Van Reeth K; Riffault; Van Reeth. Porcine innate and adaptative immune responses to influenza and coronavirus infections. Ann. N. Y. Acad. Sci. 2006-10, 1081: 130–36. PMID 17135502. doi:10.1196/annals.1373.014. ^ 124.0 124.1 Cosson P, Soldati T; Soldati. Eat, kill or die: when amoeba meets bacteria. Curr. Opin. Microbiol. 2008-06, 11 (3): 271–76 [2014-12-19]. PMID 18550419. doi:10.1016/j.mib.2008.05.005. ^ Bozzaro S, Bucci C, Steinert M; Bucci; Steinert. Phagocytosis and host-pathogen interactions in Dictyostelium with a look at macrophages. Int Rev Cell Mol Biol. International Review of Cell and Molecular Biology. 2008, 271: 253–300 [2014-12-19]. ISBN 9780123747280. PMID 19081545. doi:10.1016/S1937-6448(08)01206-9. ^ Chen G, Zhuchenko O, Kuspa A; Zhuchenko; Kuspa. Immune-like phagocyte activity in the social amoeba. Science. 2007-08, 317 (5838): 678–81 [2014-12-19]. PMC 3291017. PMID 17673666. doi:10.1126/science.1143991. ^ Hanington PC, Tam J, Katzenback BA, Hitchen SJ, Barreda DR, Belosevic M; Tam; Katzenback; Hitchen; Barreda; Belosevic. Development of macrophages of cyprinid fish. Dev. Comp. Immunol. 2009-04, 33 (4): 411–29 [2014-12-19]. PMID 19063916. doi:10.1016/j.dci.2008.11.004. Delves, P. J.; Martin, S. J.; Burton, D. R.; Roit, I. M. Roitt's Essential Immunology 11th. Malden, MA: Blackwell Publishing. 2006. ISBN 1-4051-3603-0. Ernst, J. D.; Stendahl, O. (编). 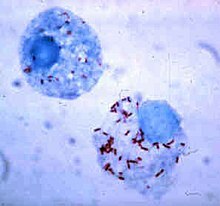 Phagocytosis of Bacteria and Bacterial Pathogenicity. New York: Cambridge University Press. 2006. ISBN 0-521-84569-6. Hoffbrand, A. V.; Pettit, J. E.; Moss, P. A. H. Essential Haematology 4th. London: Blackwell Science. 2005. ISBN 0-632-05153-1. Paoletti, R.; Notario, A.; Ricevuti, G. (编). Phagocytes: Biology, Physiology, Pathology, and Pharmacotherapeutics. New York: The New York Academy of Sciences. 1997. ISBN 1-57331-102-2. Robinson, J. P.; Babcock, G. F. (编). Phagocyte Function — A guide for research and clinical evaluation. New York: Wiley–Liss. 1998. ISBN 0-471-12364-1. Sompayrac, L. How the Immune System Works 3rd. Malden, MA: Blackwell Publishing. 2008. ISBN 978-1-4051-6221-0.